Two fabulous dresses from the 80's that went through the shop and on to a party! Have a HAPPY NEW YEAR to come that is filled with adventure & good times. 1958 fashion illustrations from "Modes Royale" a pattern magazine of European designs for the home seamstress. 1937 Costume design by Edith Head for "Turn Off the Moon"
Fashion Illustrations: 1958 from "Modes Royale"
This was a pattern magazine that showcased European fashion designs when cocktail dresses were at their height for creative drape and silhouette. Edith Head illustration for Audrey Hepburn as "Sabrina"
This look is so classic and as perfect for this New Year's as it was in the 1950's. 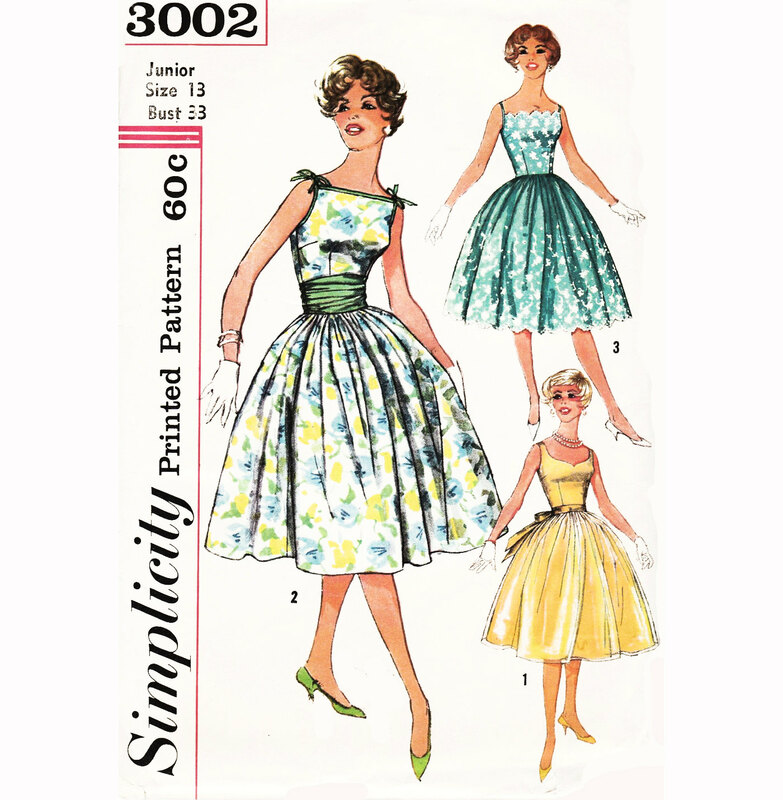 You can whip up your own version with vintage sewing pattern: Simplicity 3002. Wouldn't that be fun! 1958 fashion illustrations from "Modes Royale", a pattern magazine of European designs for the skilled seamstress. 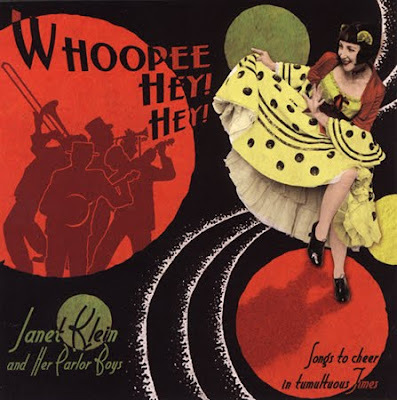 If you love vintage fashion from the 1920's and 30's, then Janet Klein and her Parlor Boys should be the musical score for your life. Janet has found a way to capture all of the fun and jive of that era's music, singing and playing her ukulele with a back-up band of marvelous musicians. But there's more! She's also a gifted graphic artist, as well as a spell binding performer. She has designed a vintage style web site that will make you want to put on a pot of tea and settle in for awhile, to cruise the many pages that relate to her work, musician friends and related topics, HERE. To see more, there is a treasure trove of her videos online HERE.